More Love is the work of Brooklyn DJ/producer John McSwain. 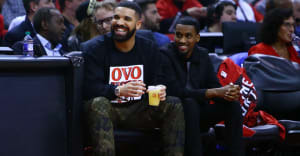 The May 27 episode of OVO Sound Radio included guest mixes from Woodkid and Benji B, plus a celebration of Drake's record-breaking night at the Billboard Awards. Also during the show host Oliver El-Khatib played a number of tracks made up of Drake and Sade's music. These tracks were taken from More Love, a five-song playlist made by Vacations, aka Brooklyn DJ/producer John McSwain. The playlist, which includes mash-ups including "Lover's Rock" x "Free Smoke," takes elements from both artists to make something new. The whole project is streaming below.